Police have named a man who died following last week’s fatal collision in Corby. 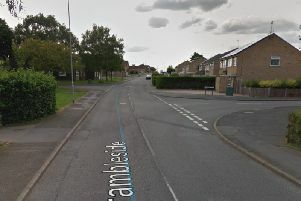 Stephen Patrick Doudie, 50, of Beanfield Avenue in Corby, died following the collision which happened at 7.15am on Thursday, May 11 at the junction of the A43 and Geddington Lane in Corby. Mr Doudie was at the wheel of a Ford Focus which was in collision with a Scania lorry.